On 5 September 2018, as a reaction to the U.S. and the E.U. sanctions against Iran, the price of bitcoin reached the record high of $24,000 on local exchanges, while the price of the rial continued to plummet. Iran is by no means an exceptional example of a nation-wide monetary crisis – on the other side of the world Venezuelans are literally dumping worthless paper currency as garbage. In 2018, a decade after the 2008 GFC, some analysts predict a new financial crisis. Worrying signs are already here – a continuing financialization of the U.S. economy, world oil prices going up for no apparent reasons and an inflated stock market. At the same time, public trust in the U.S. government, according to FundStrat, is at 60-year lows, while trust in other governments – particularly in countries such as Greece, Chile, Argentina, and Italy – is even lower. Millennials, the most important demographic cohort who are entering their prime earning years, distrust financial institutions. And while previous generations preferred gold, equities and hedge funds as investments, millennials like growth stocks, digital-based companies, and cryptocurrencies. At this background, a broader adoption of cryptocurrencies and blockchain, the underlying technology, seems particularly pressing. And yet, according to Dr. Daniel Diemers of PwC Strategy&, “[i]f we randomly select 10 people…and ask them about blockchain, ICOs, and cryptocurrencies, we’d find that they are not very familiar with the topic”. He further added that “adoption of new technologies requires education”, and we at Planet Blockchain wholeheartedly agree. Ever since Planet Blockchain has started building a regional and global community in April 2017 out of Dubai, we have seen ourselves as enablers of a wider adoption of blockchain and cryptocurrencies through educating our members about the benefits and risks associated with these novel technologies. We are equally passionate about helping start-ups and ICOs to succeed. One of the biggest issues we see with ICOs in today’s market is a disconnect between professional investors (e.g., angels and venture capitalists) and individual investors on the one hand, and entrepreneurs on the other. As a result, there is considerable inefficiency in the market as resources get misallocated to projects that have no technological innovation behind them, which predictably hurts adoption. Our vision is to scale our digital platform to connect communities globally through knowledge sharing and education so as to drive innovation and adoption locally. We plan to achieve the latter by creating virtual and physical meeting spaces for entrepreneurs and investors, organizing industry events and conferences, and conducting hands-on workshops. Our members will be able to develop new skills, earn rewards for contributions, expand their social and professional networks and grow their businesses. We will be partnering with other education providers to ensure high-quality courses and masterclasses. To encourage our community members to join and stay on our platform, we have issued our own PBC token (an ERC-20 token), and are negotiating with several exchanges to list the token. 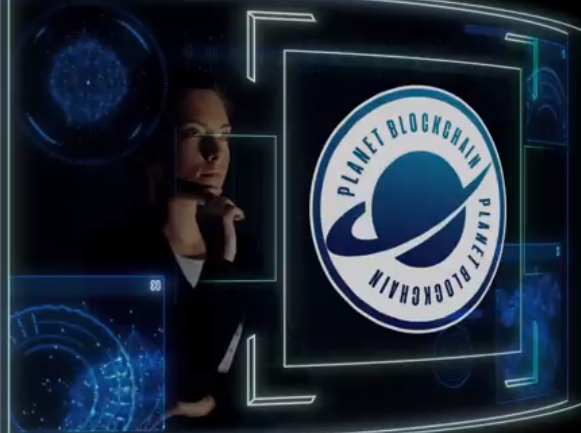 We have recently announced a PBC token airdrop, and currently running an AirDrop Campaign (https://planetblockchain.io/airdrop/planet-blockchain-airdrop-campaign/). During the campaign, there will be 100,000 tokens given away (US$20,000 worth) to first 10,000 participants. Out Telegram group has been growing by several dozen people a day! Another example of a scam… so you are using tokenization to teach ppl about blockchain and crypto.. and to raise its awareness..? Makes no sense whatsoever. Just let it be taught the conventional way… no need for tokenization.